Last summer I organized the math materials I had created in preparation for teaching a 5th grade math class this school year. 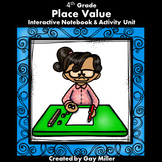 The result of this organization was several blog posts with free foldable graphic organizers. 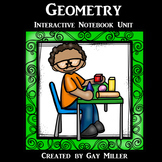 I also created four math products that I am selling on Teachers pay Teachers. This post contains two free resources for teaching math properties. The first is a foldable organizer. The second is a Smart Notebook practice. The first has lines where students write definitions. Students must also create samples for each math property. The second copy of the organizer contains the definitions with key words missing for students to add. Students must also create samples for each property. The third copy is completed. It may be used as an answer key. The organizer may be displayed on a SmartBoard for students to copy. A great use for the completed organizer is for differentiated instruction. The completed organizer may be used for students who were absent. 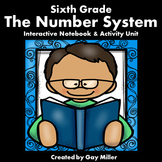 CCSS.Math.Content.3.OA.B.5 Understand properties of multiplication and the relationship between multiplication and division. CCSS.Math.Content.6.NS.B.4 Use the distributive property to express a sum of two whole numbers 1-100 with a common factor as a multiple of a sum of two whole numbers with no common factor. For example, express 36 + 8 as 4 (9 + 2).